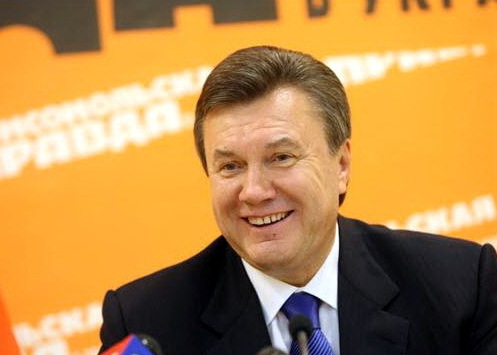 Segodnya was referring to the consolidation of “The Family” loyal to President Viktor Yanukovych. The capital assets of “The Family” are estimated to be $130 million, and 64th in Ukraine’s 100 wealthiest. In 2011, Oleksandr Yanukovych, the president’s eldest son, entered for the first time the top 100 wealthiest Ukrainians. He recently purchased the All-Ukrainian Bank for Development and increased its capital from 270 million hryvnia ($33.69 million) to 349 million hryvnia ($43.54 million). Yanukovych has become independent of the Donetsk oligarch allies whose patron he had been while serving as Donetsk governor from 1997 to 2002. The first stage took place as opposition leader, when he aligned himself with the “gas lobby”. The “gas lobby” ran Eural-Trans Gas (2002-2004) RosUkrEnergo ([RUE] 2004-2008) gas intermediaries. The then Prime Minister, Yulia Tymoshenko, lobbied to remove RUE in the January 2009 Russian-Ukrainian gas contract. Firtash had warm relations with Viktor Yushchenko and supported his national projects, for which he was awarded a state medal in January 2009. Firtash supported Yanukovych in the 2010 elections out of fear and loathing for Tymoshenko. Since Yanukovych’s election Firtash’s capital assets have “grown at a fantastic rate,” by some 540 percent. The Minister of Energy and the Coal Industry, Yuriy Boyko, was chairman of the state gas company Naftohaz Ukrainy in 2002-2004, when the two gas intermediaries were established. Foreign Minister, Kostiantyn Hryshchenko, is a close ally of Boyko and together they founded the Republican Party of Ukraine that merged with the Party of Regions in 2005. The leadership of the presidential administration is divided between the head Serhiy Levochkin (“gas lobby”) and deputy head Stanislav Skubashevskyi (“The Family”). The Chairman of the Ukrainian Security Service (SBU) Valeriy Khoroshkovsky is an influential figure who, together with Firtash, owns Ukraine’s most influential television channel Inter. The second stage in Yanukovych’s independence began after he was elected president in February 2010, with the emergence of “The Family,” who are loyal to him personally and come from Yanukovych’s home region of Donetsk. “They are all far from politics and owe their advancement only to the president,” according to one editorial – meaning they are independent of other groups. “The president is establishing his power base upon people who are equally distant from business groups. The times are changing,” Segodnya pointed out. “The Family’s” Grey Cardinals are Party of Regions deputies, Oleksandr Yanukovych and Yuriy Ivaniushchenko, who “is a key player in the ‘family group’”. Ivaniushchenko and Minister of Agricultural Policy and Foodstuffs, Mykola Prysiazhniuk, have been linked to newly established Khlib Investbud, which is “a controversial grain trader with an unclear ownership structure”. Khlib Investbud was given a monopoly on grain exports this year. This led the publicity-shy Ivaniushchenko to launch a PR campaign to enhance his image. Another report, denied by his lawyers, linked “Ivaniushchenko to the 2005 assassination of Anatoly Bandura, the head of Mariupol-based Azov Shipping Company”. This could become important in the event of public protests against election fraud in the 2012 and 2015 elections. Their ruthless reputation has already been demonstrated by the arrest and imprisonment of Yulia Tymoshenko and other members of her 2007-2010 government, as well as in suppressing anti-regime protests. Prosecutor-General Viktor Pshonka, from Donetsk, has denied Ukrainian media reports that Yanukovych is Godfather to his son, Party of Regions deputy Artem Pshonka. The prosecutor’s office has become an arm of repression rather than an instrument of justice. Interior Minister Anatoliy Mogiliov closed the Interior Ministry Human Rights Monitoring Department, introduced compulsory fingerprinting for everyone detained by the police, and radically increased the number of Berkut riot and Interior Ministry Internal Troops, Spetsnaz, on the streets of Kiev. Mogiliov restored the Soviet practice of stationery police units along highways. In October 2011 the human rights organization Amnesty International issued a scathing report demanding the Ukrainian authorities act immediately to deal with endemic police criminality, widespread torture, extortion, and arbitrary detention. In 2010, Ukraine’s Ombudsperson’s office received 5,000 complaints about torture and ill treatment, and 51 inmates died in Ukraine’s prisons in 2010 compared to 23 the year before. Newly appointed Prime Minister of the Crimean government, Mogiliov, replaced another Donetski, Vasyliy Dzartyi, following the latter’s death. Both were from Yanukovych’s home town of Yenakiyeve, where Dzhartyi had been mayor when Mogiliov was head of the city’s Interior Ministry. Crimean Tatars protested at Mogiliov’s re-appointment, since during his period as the head of Crimea’s Interior Ministry (2007-2010) he established a reputation for ruthlessness in dealing with Tatar activists. On January 24, 2008, Mogiliov wrote a xenophobic op-ed for Krymskaya Pravda, supporting Stalinist denunciations of the Tatars as “Nazi collaborators,” which were used to justify their ethnic cleansing in May 1944. “The Family” have taken control of other law enforcement and financial flows to the state. These include Interior Minister Vitaliy Zakharchenko, the head of the State Tax Administration (DPI) Oleksandr Klymenko, the head of Kiev’s DPI Iryna Nosachova and Chairman of the National Bank of Ukraine Sergei Arbuzov. Ukrainian businessmen are increasingly complaining of more frequent raids and heavy-handedness by the State Tax Inspectorate and the government has admitted that corporate raiding is escalating. In the past, the raiders used corrupt courts to illegally change ownership of businesses, but now increasingly use corrupt law enforcement officers. Yanukovych continues to rely on the Party of Regions to ensure parliament is a rubber stamp institution and party members represent 88 percent of regional governors. In November, Donetsk “Family” member, Mikhail Kostiuk, was appointed as Lviv governor. The president controls the two main support bases of the Party of Regions through Donetsk oblast council chairman, Andriy Fedoruk, a member of “The Family,” and Crimean Prime Minister Mogiliov. The political system emerging under Yanukovych is Eurasian in nature, supported by the “gas lobby” and “The Family,” while being based on two structures. The first is its evolution from the oligarchic system under Leonid Kuchma and Yushchenko, toward Russian-style state capitalism. The second, as in Russia, is a “militocracy” based on the security forces, governors and parliament. The government is a vehicle to balance different interest groups within the Party of Regions. Governors are the president’s right hand men tasked with implementing his orders and ensuring deputies elected in single mandate districts in October 2012 join the pro-presidential coalition to ensure the president has a parliamentary majority.